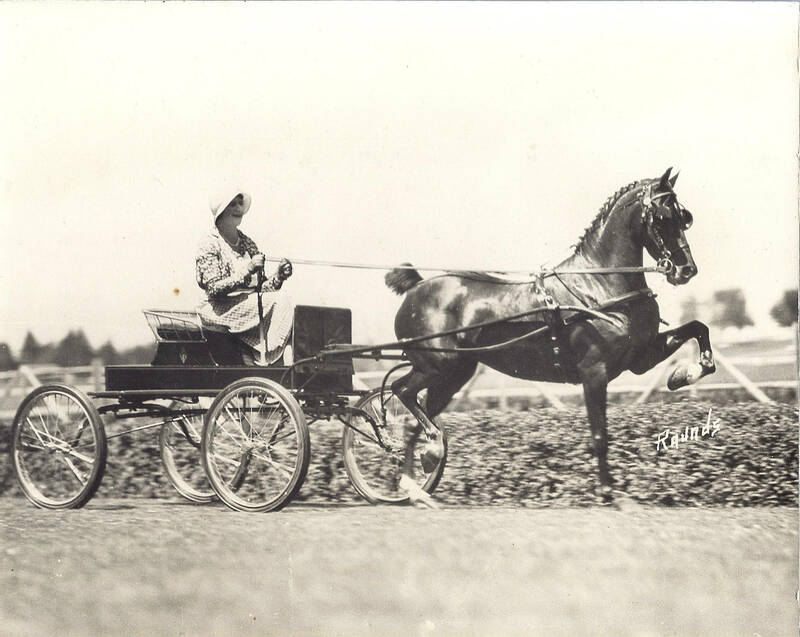 Mrs. Ruth Frank driving a Houghton carriage pulled by a show horse named Aloma. Ruth was the wife of Aaron Frank, an executive at the Meier & Frank Department Store in Portland. The Franks owned a house and a stable of show horses in Garden Home. They spent their summers in Garden Home beginning in the 1920s and later moved there full-time.